Have a question about FIU? You’re not alone. Click a question learn more. Is Florida Institute of Ultrasound, Inc. an accredited program? Yes. 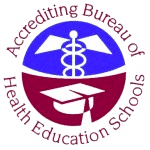 Florida Institute of Ultrasound, Inc. is institutionally accredited by the Accrediting Bureau of Health Education Schools (www.abhes.org) which is recognized by the U.S. Department of Education as the accrediting association for allied health schools. When I finish the program, will I be able to take the ARDMS Registry? Yes, you will. Bachelor’s Degree in any field – Eligible immediately upon graduation. Associates Degree in Allied Health as determined by ARDMS. – Eligible immediately upon graduation. Associates Degree in any field – Eligible to take ARRT (American Registry of Radiologic Technologists) Registry then eligible to sit for ARDMS. 48 Semester Credits – One year work experience in the field of ultrasound then eligible to sit for ARDMS. The ARDMS Registry prerequisites are listed on the ARDMS website. A Bachelor’s Degree with required classes** Included in the classes above must be: Anatomy & Physiology with a lab, Biology with a lab and College Algebra. Courses must be at the college level. Any variation from above prerequisites must be approved by the Administrative Director. Tuition for the twelve month program, Abdomen, OB/GYN, Vascular, Echocardiography, and Ultrasound Physics is $18,900. Beginning with the July 2019 Class, tuition is $19,500. Do you have financial aid? Yes, we do! We offer Pell grants, and Federal Student loans. When filling out the FAFSA, you will need the school code – 016483. The program is a 12 month accelerated program covering four modalities of ultrasound. The ARDMS considers us a two-year Allied Health program due to the total clock hours completed within the year. The Florida Institute of Ultrasound, Inc. generally operates on a 42 hour per week cumulative time for didactic and clinical instruction. The classroom hours are 8:00 am to 4:30 pm, Monday through Thursday and 8:00 am to 4:00 pm Friday. Clinical hours vary from site to site. Most clinical sites operate from 7:30 am to 4:30 pm, Monday through Friday. What are the class start dates? There is plenty of time to begin your training, we enroll new students every January, April, July, and October. Although we do not offer specific job placement, we provide our students with employment leads. We also include in the curriculum classes on resumes, interview techniques and job websites. After graduation, we continue to inform graduates of employment leads that are received from prospective employers. We have a strong networking relationship with previous graduates that provides us with job opportunities throughout the Country. Will I be able to find employment in the Pensacola and surrounding areas in the field of ultrasound? Employment in the local Pensacola and surrounding area is not likely upon graduation from the program. Students should be aware that they will have to move out of the area to obtain employment as sonographers. Can I do only one part of the program? No, at this point we do not offer any short term programs. The average class size is 20. Can I do my clinical rotations back home at my own clinical site? Yes. If you would like to attend clinicals out of the area, you are responsible for set​ting up a clinical site as long as the site will have daily scanning opportunities. The site you choose will need to forward a contract to our Clinical Coordinator, for review. The contract must be finalized one month before clinicals. Once the contract is finalized and the clinical site is approved by the Clinical Coordinator, you are approved to attend the alternate site of your choosing. We’d love to answer any questions you may have about attending FIU. Copyright © 2019 Florida Institute of Ultrasound, Inc.